A Ventnor firefighter who lost his job after being convicted of causing a drunk driving accident in Atlantic City is going to be reinstated to his former position. The DWI crash occurred on the Kingston Avenue beach in Atlantic City in March 2014. According to law enforcement, the Ventnor resident was behind the wheel of an SUV when he suddenly lost control of the vehicle, left the roadway, and overturned on the beach. At the time of the auto accident, the driver’s two young children were inside the SUV. Thankfully, neither kid was injured as a result of the DWI accident. The motorist was later convicted on charges of Driving While Intoxicated (DWI) and child abuse. Although he could have been sentenced to 18 months in New Jersey State Prison, the Ventnor resident avoided spending any time behind bars by agreeing to comply with requirements to undergo drug and alcohol counseling. The city of Ventnor then attempted to remove the convicted DWI offender from his job as a firefighter with the Ventnor Fire Department. He was initially suspended for a period of six months, but an agreement was reached and now he will be allowed to retain his job after serving the suspension. Under the conditions of the agreement, the firefighter will be required to undergo random alcohol and drug testing. Additionally, he has been demoted from his former rank of lieutenant to a lower rank of firefighter. 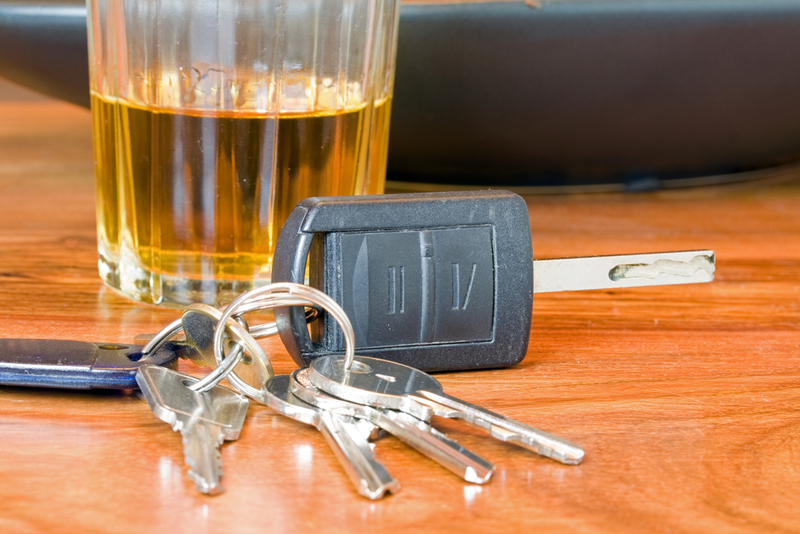 This case is a prime example of the severe consequences of a drunk driving accident. A person accused of causing a DWI accident in New Jersey could face criminal charges, traffic tickets, and a personal injury lawsuit for damages caused by the crash. If you or someone you know was injured in a car accident anywhere in New Jersey, you should speak with a qualified personal injury attorney immediately. Richard Stoloff is an experienced personal injury and auto accident attorney who is prepared to help you get the compensation you deserve. Contact Mr. Stoloff anytime to schedule a free initial consultation about your case.